Powdered food colors are the Ultimate in Strength and Versatility Used in chocolates, dry mixes and many other applications where water is prohibited. 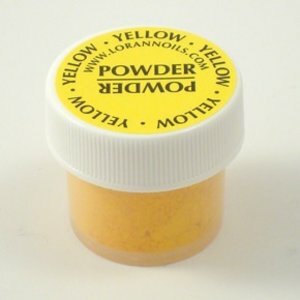 Use sparingly as powdered colors are extremely concentrated and may stain clothing, hands, or mouth. Gluten-free Kosher certified Concentrated color Note: 1/2 oz. size refers to volume. Weight is 4 grams.